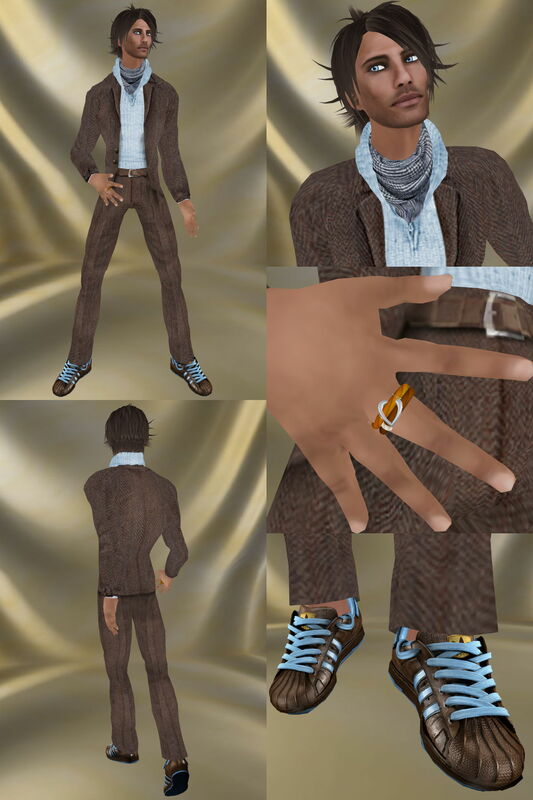 Introducing today the creations of a new designer in world: Kwamey Pinion for Soreal. Thanks to Landon Gibbs, faithful reader, who plugged me on this brand! For now, Kwamey offers a range of vintage sport jackets, nicely textured, with a lot of prim attachments. These attachments have the particularity of being no-moddable, which would usually prevent them from being featured on Slmen, but they are resizable by menu. This way of adjusting attachments is precise and safe. But there is more. The jackets are sold in several packs, in male and female versions, and in each pack you get 2 color options and 2 inscription options. The prim attachment (cuffs, colar, belt) are moddable by HUD. The HUD will allow you to change the color of the collar and cuffs, to match the color of the jacket you selected, to choose the color of the turtleneck under the jacket, or to take it off, to show or not the brand logo on the belt’s buckle, and finally to choose two metal options for the zipper and the belt’s buckle. You can have each color pack for 495 Lindens. 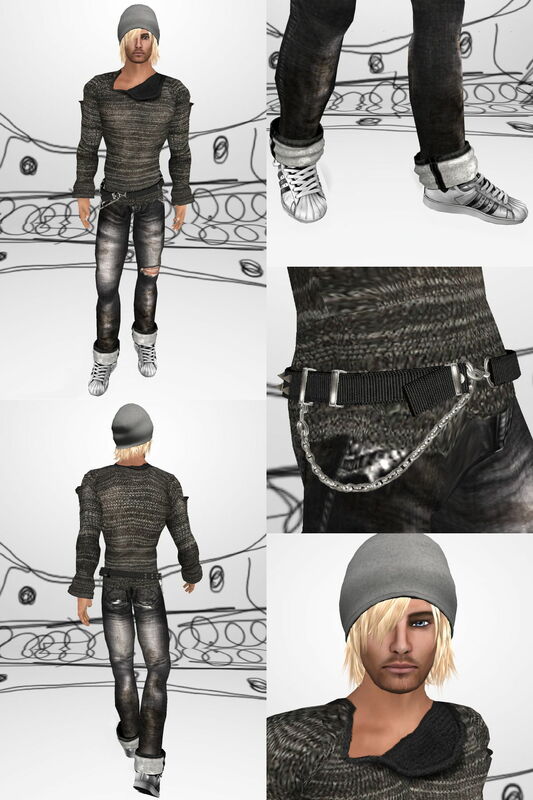 To go along with these jackets, I wore very realistic sculpted sneakers from Redgrave, good jeans from Iki (I chose them because they come in white, and good white jeans are really rare in sl! ), and for the first time on Slmen, hair from Zero Style, by Rei Gully, whose new creations I will soon show! You can appreciate one more time the new updated Envision skin from The Body Politik, in a very masculine “Scraggly Goatee” facial option. To finish the look, some very edgy glasses from Ottico! Enjoy! Showing City Sport Jacket (SCS008M) in Red, Hair in Black, jeans in Black, Sneakers in Red. City Sport Jacket (SCS009M) in Red, Hair in Black, Jeans in White, Sneakers in White.